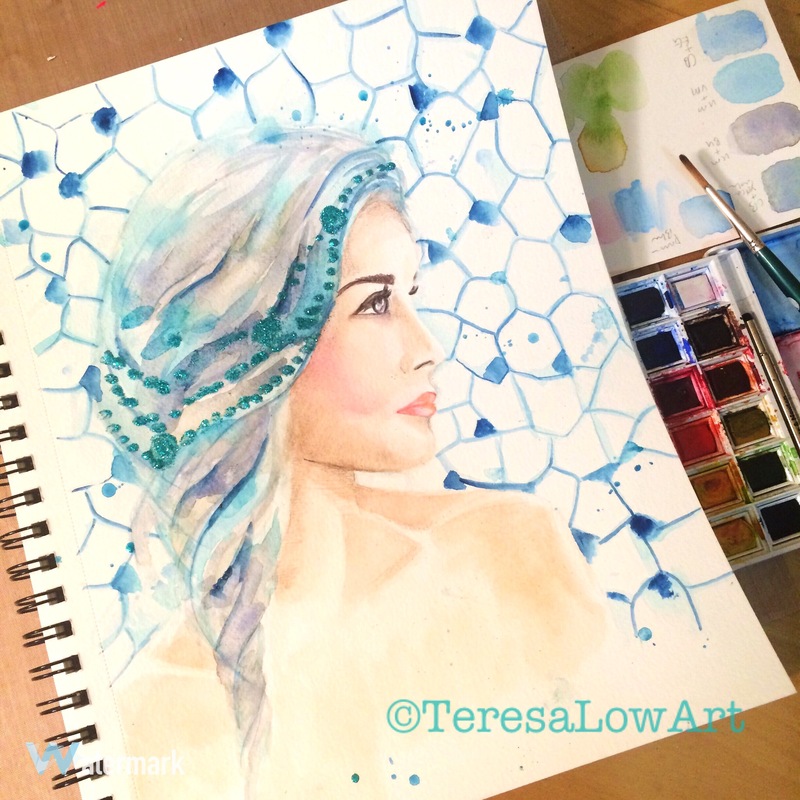 Playing with blues and grays on her hair color today. I usually wing it when it comes to hair color. I would simply paint and see what colors make sense. Sometimes it works, sometimes not. 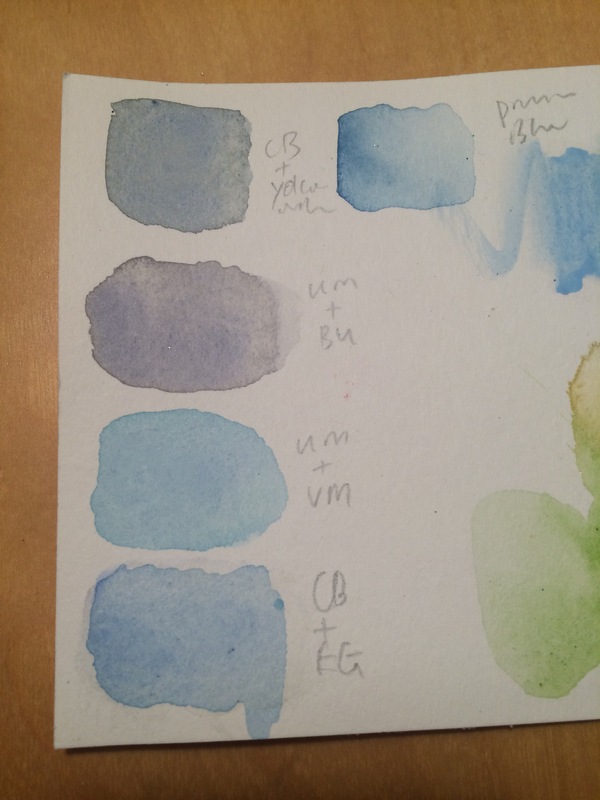 Today I actually painted some color swatches and created a color palette before painting. This worked much better. Also experimented with mixing my own colors vs painting straight from the tubes. I am loving the colors that I created! So much more interesting than those that just come straight from the tube. Will continue doing that too! Lastly, still experimenting with creating patterns and texture. Yup. I like it. I also find myself looking at the world around me differently… looking for interesting patterns and textures that I could paint:) There are inspirations around us!